Whether you’re a seasoned fisherman or just developing your sea legs, everyone could benefit from some casting tips. After all, your cast makes or breaks your fishing game. Read on for some tips about how to increase your odds of catching big with the perfect cast! In order to achieve the greatest casting distance, it’s imperative you choose the right rod, reel and line—and they all need to work together. If your rod is too light, you won’t have the manpower to maximize your distance. If your rod is too heavy, it won’t load properly. It’s also crucial that your reel’s spool is full, helping you get a longer cast and ensuring that the lure on will fall into the desired range. Don’t fall into the trap of casting as hard as you can. Doing so can cost you distance because of imbalanced spool speed. Instead, strive for smoothness which will help you get a further cast. Proper form is essential when casting! 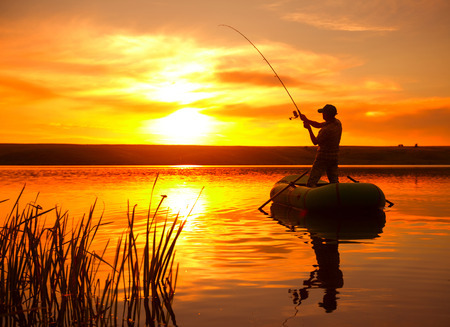 Grip your rod just ahead of the reel and hold the line between your middle and ring fingers. Focus on keeping your wrist stable and hug your elbow close to your ribcage. Even when you know exactly what you should be doing, sometimes getting the perfect cast just requires time and practice. Try to find an open space on dry land and use a practice cork on the end of your rod. Soon enough, muscle memory will kick in and you’ll be reeling in the big fish in no time. Located along the peaceful shores of the Ogoki-Albany river system, Mattice Lake Outfitters offers guests ideal wilderness oasis in beautiful Northwestern Ontario. Ready to plan your trip? Call us at 1-800-411-0334 and learn more about booking your fishing trip!